You know that you should wear sunscreen when you go to the beach, but if you are swimming in the ocean near a coral reef you should wear biodegradable sunscreen. 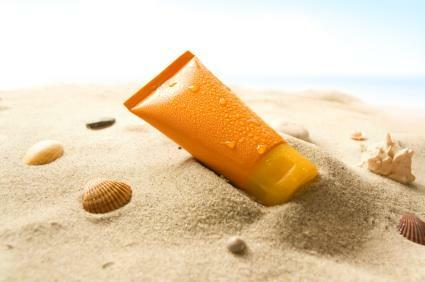 Even though regular sunscreen protects your skin, it can be very damaging for the acquatic environment. Biodegradable sunscreens don't contain chemicals that can damage coral reefs and ocean life. Instead, they contain natural, eco-friendly ingredients that break down in a way that is not harmful. Like traditional sunscreens, biodegradable sunscreen is available in a variety of SPF levels and formulas appropriate for your face or body. It is, of course waterproof. Most biodegradable formulas use the active ingredients titanium dioxide and zinc oxide, which protect against UVA and UVB rays. Because these natural minerals sit on the surface of your skin rather than absorb like other sunscreens, they may leave you with a white cast, but some formulas claim that this disappears within minutes. These sunscreens are just as efficient as other types, and may even be better for your skin because they only contain natural ingredients.